CSA Journal, Dorian Mintzer, Must Have Retirement Conversation for Couples, No. 73, Vol. 1, 2019. The Wall Street Journal. Anne Tergesen, Why You Shouldn’t Retire When Your Spouse Does, November 20. 2018. Los Angeles Daily News, Helen Dennis, Successful Aging: When your spouse retires and you start spending all day, every day together, May 17, 2018. Kiplinger’s Personal Finance, Jane Bennett Clark, How Couples Can Retire in Harmony, September 2016. The New York Times, Kerry Hannon, Work a Little, Play a Little: A New Retirement Strategy, May 21, 2016. AARP Magazine, Margery D. Rosen, Advice for Couples Who Stagger Retirement, April/May 2016. The Wall St. Journal, Anne Tergesen, A Guide to Not Retiring, March 15, 2015. The Dallas Morning News, Pamela Yip, The `Other’ Retirement Talk Everyone Should Have, January 30, 2015. The New York Times, Kerry Hannon, Finding an Identity Beyond the Workplace: There’s More to Retirement Than Financial Planning, August 8, 2014. CNNMoney, The Happy Together Quiz, March 2014. Where to Retire, Jennifer Davoren, “Retirement Synchronicity,” September/October 2013. USA Today, Christine Dugas, Boomers Reinvent Themselves in Retirement, January 16, 2013. Where to Retire, Ann Chalfant, “Designing Your Blueprint for Retirement,” November/December 2012. Career Planning and Adult Development Journal. Volume 28, No. 2, Summer 2012, The Interface Between Career Planning and Retirement, Chapter 4: Working with Couples in “Retirement Transition” by Dorian Mintzer and Roberta Taylor, pages 47 -57. The Wall St. Journal, Kathleen A. Hughes, He Wants to Retire….But She Doesn’t, April 9, 2012. The Washington Post, Talk With Your Spouse Now About Retirement Plans, Feb. 11, 2012. Investment Advisor, Olivia Mellan, Get Real: Forget the “walks on the beach” stereotype. Advisors need to help their clients realistically plan for retirement, January 2012. USA Today, Book Review: ‘The Couples Retirement Puzzle’, November 2011. Bob Carlson’s Retirement Watch, Solving Couples’ Retirement Problems, October 2011. The New York Times, Ann Carrns, The Company You Keep, September 15, 2011. Wall St. Journal, Kathleen Hughes, “He Says Maine, She Says Florida: How Couples Navigate One of the Trickiest Retirement Issues: Where to Live,” March 21, 2011. Miller, Mark. When Couples Retire Together–or Don’t. Morningstar, December 13, 2018. Dennis, Helen. Successful Aging: What if my newly retired husband wants to spend all his time with me?, Los Angeles Daily News, December 12, 2018. Ruffenach, Glenn, My Favorite Books to Prepare for Retirement. Wall Street Journal, December 7, 2018. Miller, Mark, How to Blend Work and Retirement, Morningstar, August 2, 2018. Laura, Robert, Empty Nest Syndrome Versus Retirement: Will You Miss Your Kids Or Work More?, Forbes Retirement, December 20, 2017. Laura, Robert, What Married Women Fear Most In Retirement, Forbes Retirement, August 29, 2017. Hannon, Kerry, How to Stay Positive Job Searching After 50, Forbes Personal Finance, April 3, 2016. Hannon, Kerry, How to Stay Positive Job Searching After 50, Next Avenue, March 30, 2016. Martin, Ellen James, Moving and Keep Moving After Retirement, Uexpress Smart Moves Column, March 9, 2016. Gosselin, Jamison, 7 Actionable Tips To Help You Tackle The Senior Living Discussion, Huffington Post, Dec. 7, 2015. Dennis, Helen. Successful Aging: He’s retiring… and coming home, Los Angeles Daily News, September 28, 2015. Zipkin, Amy. The Sharing Economy Attracts Older Adults, The New York Times, September 25, 2015. Stanger, Tobie. Is Phased Retirement for You?, Consumer Reports, March 10, 2015. Singletary, Michelle, For Daring Gift-Givers, These Books Are Worth a Look, Washington Post, December 6, 2014. Schmidt, Donna, The NEW Retirement, Nyack’s HamletHub, November 7, 2014. Singletary, Michelle, Getting in sync on retirement, The Dallas Morning News, October 7, 2014. Singletary, Michelle, Your partner’s plan for retirement should agree with yours, The Washington Post, October 7, 2014. Kaufman, Sarah, 8 Things You Should Talk About When Retiring as a Couple, Betterment, September 30, 2014 and Huffington Post, October 2, 2014. Eisenberg, Richard, Retirement Health Costs: Planning For The Wild Card, Forbes Personal Finance, September 12, 2014. Garland, Susan B., The Key to Living Happily Ever After in Retirement, Kiplinger’s Retirement Report, August 27, 2014. Eisenberg, Richard, How Couples Can Solve Their Retirement Puzzle, Next Avenue, August 27, 2014. Eisenberg, Richard, How Couples Can Solve Their Retirement Puzzle, Forbes Personal Finance, August 15, 2014. Goslow, Brian, Most Couples avoid Retirement Investment Conversations, Fifty Plus Advocate, February 28, 2014. Goslow, Brian, How-To Steps Can Make things Easier, Fifty Plus Advocate, February 28, 2014. Jacobs, Emma, Midwives to a Happy Retirement, Financial Times, February 27, 2014. Weisser , Cybelle, Do Your Retirement Dreams match Your Partner’s? Scrimp or Splurge, CNN Money, February 24, 2014. Martel, Judy, Semi-Retirement: A Strategy to Build a Better Life, Northwestern Mutual Voice Column of Forbes Magazine, January 8, 2014. Jennifer Davoren, Where? When? Couples facing retirement need to talk, USA Today, November 11, 2013. Rachel Rosenthal, What Each Spouse Should Know About Finances, The Wall St. Journal, October 6, 2013. Kerri Anne Renzulli, How to Talk to Your Spouse About Retirement, CNN Money, September 25, 2013. Helen Dennis, Retirement: Things to consider whether you’re moving away or plan to stay, Long Beach Press-Telegram’s Aging Column, August 12, 2013. Dorian Mintzer, Think Like a Pope — Knowing When to Quit: When to Quit Working, The New York Times “Room for Debate” Column, February 14, 2013. 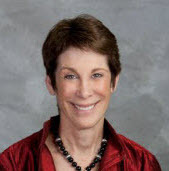 Amy Zipkin, The Retirement Talk Couples Need to Have — Now!, Next Avenue, January 19, 2013. Jaleh Donaldson, Tips for Married Couples on Making Retirement Fun, Associated Content, April 22, 2012. Paul Briand, He said, she said: Retirement vs. work, Examiner.com, April 10, 2012. Ellen James Martin, Retirement Can Take Some Work, Smart Moves Column, UExpress.com, Feb. 1, 2012. Kerry Hannon of Forbes Personal Finance, For Couples: A Second Act Can Be Like Having An Affair., Oct. 11, 2011. Linda Stern of Reuters, Retirement: Negotiating the terms with your spouse, Vancouver Sun, June 30, 2011. Illene Little of Traveling4Health.com, Health Care Risks of Retiring Abroad, Escape Artist Medical Tourism, June 3, 2011. Karma Kitaj, Alivelihood: New Careers As We Age (YouTube), The Couples Retirement Puzzle, May 2011. Prime Time Column in the Second Act Blog, Michelle V. Rafter, “10 Questions Couples Need to Ask Before Retirement,” May 4, 2011. Fiscal Times, Julie Halpert, “How Not to Kill Your Spouse,” April 28, 2011. Age Without Borders with Kari Henly, How Do You Perceive the Timeline of Your Life? with Dr. Dorian Mintzer, August 29, 2017. The Professional’s Roundtable with Muriel Donnely, Dorian Mintzer, Psychologist, January 4, 2017. The Professional’s Roundtable with Stephanie Yvette Mitchell, Dorian Mintzer, Psychologist, November 14, 2016. Real Money with David Holland, You Know What You Are Retiring From, But Do You Know What You Are Retiring To?, August 5, 2016. Goldstein on Gelt with Douglas Goldstein on Israel National Radio, Preparing for the Golden Years, August 2014. 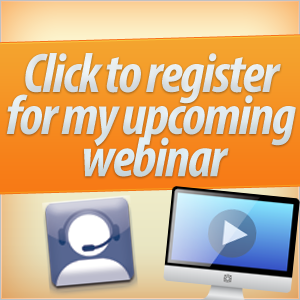 Money and Success on WebTalk Radio with Chris Miller, Ready, Set, Retire!, July 2013. Real Money Radio with David Holland, The Couple’s Retirement Puzzle, July 16, 2013. Sally Felton Radio Show, “The Changing Face of Retirement,” May 9, 2012. Boomer Financial Radio Network with Frank Jaffe, April 24, 2012. Wisconsin Public Radio, Ideas Network with Joy Cardin, Negotiating Retirement with Dorian Mintzer, April 18, 2012. KFWB Radio show, Couples and Retirement, April 16, 2012. NPR Talk of the Nation with Jennifer Ludden with guests Kathleen Hughes and Dorian Mintzer, Couples Can Conflict Over When to Retire, April 12, 2012. Capital City Recap with Michael Cohen, Dorian Mintzer, Couples and Retirement April 10, 2012. Boomer Financial Radio Network with Frank Jaffe, “Couples and Finances,” December 3, 2011. PlanStrongerTV with David Holland, Transitioning to Retirement – Part 2, Dec. 2017. PlanStrongerTV with David Holland, Transitioning to Retirement – Part 1, Dec. 2017. TedX, New Bedford, MA, Embracing Your Bonus Years, November 4, 2016. Today Show, 60 Rocks with Al Roker, August 22, 2014. Betty Meredith, International Retirement Resource Center, Helping Couples Navigate Their Retirement Transition, February 21, 2019. Chris Ferrell, A Conversation on Unretirement, March 2015. Beverly Financial Group with Kelly Stanley, Lunch and Learn Series, 10 Must Have Conversations for Transitioning Into the Second Half of Life, May 2011. Easing, not Plunging, into Retirement, PremierReverseMortgage.com, September 22, 2014. Mintzer, Dorian. Tips to Help Couples Communicate More Effectively, RetirementandGoodLiving.com, August 27, 2014. Retirement Coach Dorian Mintzer Speaks at Retirement Coaches Association Conference, October 8, 2018. Book by Retirement Coach Dorian Mintzer Wins SeniorHomes.com Award, October 31, 2017. Empire Broadcasting Group Presents Dorian Mintzer, Owner of Revolutionize Retirement, January 4, 2017. Retirement Transition Coach Dorian Mintzer Quoted in New York Times, May 24, 2016. Dr. Dorian Mintzer Named Best of 2016 Boston Psychologists, April 8, 2016. Dorian Mintzer Speaks at Aging in America Conference, March 30. 2016. Retirement Coach and Speaker Dorian Mintzer Quoted in Consumer Reports, April 6, 2015. Retirement Coach and Speaker Dorian Mintzer Quoted in Wall Street Journal, March 30. 2015. Retirement Coach Dorian Mintzer Featured as Retirement Authority on Today Show, September 8, 2014. 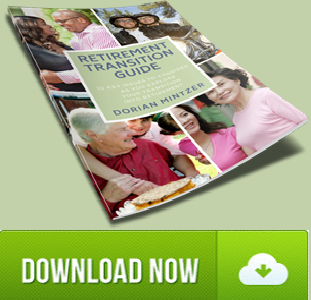 Retirement Coach Dorian Mintzer Reaches Amazon Best-Seller Status, August 29, 2014. 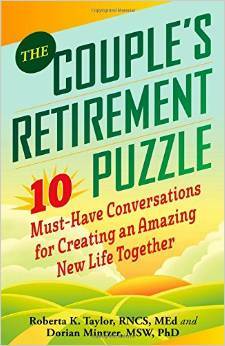 Retirement Coach Dorian Mintzer’s Book, The Couple’s Retirement Puzzle, Updated, August 27, 2014. Retirement Coach and Speaker Dorian Mintzer Quoted in New York Times, August 22, 2014. 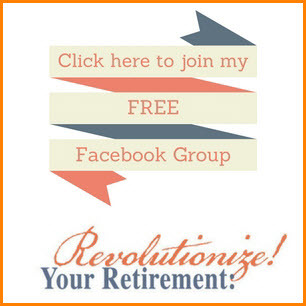 Retirement Coach Dorian Mintzer Offers Free Online Expert Series for Baby Boomers, February 10, 2014. 70 Things You Must You Do After 70, October 3, 2013.